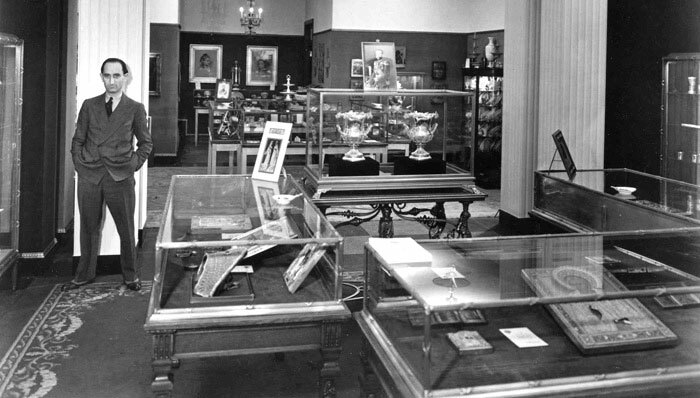 Still a multigenerational family business, under the direction of brothers, Messrs. Paul and Peter L. Schaffer, and Paul’s son, Dr. Mark Schaffer, A La Vieille Russie continues the tradition of dealing in fine art and antiques, and is known worldwide for its collection of Russian treasures. Goldsmith and jeweler Carl Fabergé was a client, and we are recognized today as international experts on his works. We specialize in European and American antique jewelry, 18th-century European gold snuff boxes, and antique Russian fine and decorative art, including silver, enamel, and porcelain, paintings, icons, and furniture. We have been at our present location on the corner of Fifth Avenue and 59th Street since 1961, opposite Central Park. We maintain a strong exhibition schedule, both as exhibitors and lenders. For example, we exhibit annually at TEFAF Maastricht in the Netherlands, New York’s Winter Antiques Show, Masterpiece London, and the New York International Fine Art and Antique Dealers Show.